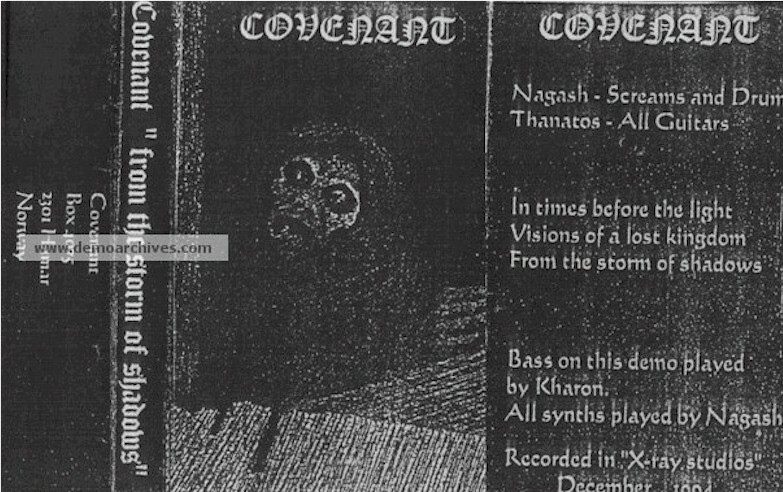 It all began in 1993, When Nagash and Blackheart started a somewhat of a Black Metal supergroup, the Bergen outfit heralded with a 1994 demo 'From The Storms Of Shadows'. Commercially the group debuted for Mordgrimm Records with the February 1997 offering 'In Times Before The Light' which was actually recorded in 1995. Now known as The Kovenant, they had to change their name for legal issues after the release of "Nexus Polaris" due to the name already being used by a much longer-running Swedish EBM band. Album cover is artwork from Theodor Kittelsen called "Pesta i trappen" (Pesta on the Stairs) later used by Burzum for the "Hvis Lyset Tar Oss" album. 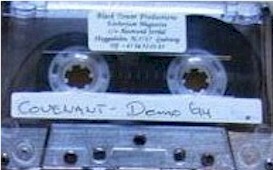 Xeroxed covers and regular non studio tapes.